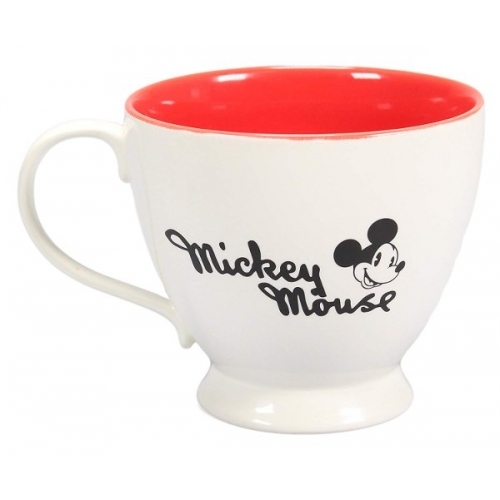 This lovely Mickey Mouse mug is magical way to start your day. It has a distinctive teacup style shape and a dainty curved handle. 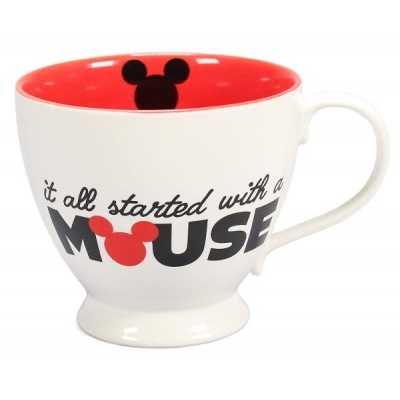 With a cream background, the front design on this mug features the phrase "It All Started With A Mouse" in black with a red Mickey head as the "o". On the back of the mug, there is a drawing of a classic Mickey head with the words "Mickey Mouse". 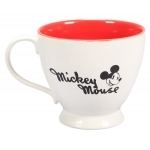 With a red contrasting inner featuring a black Mickey head on the inside rim and packaged in a printed gift box this is a lovely gift for any Mickey Mouse fan. The words say "It All Started With A Mouse"